Life Insurance Hub provides deep insight into life insurance quotes. This site guides you to a better understanding of how to apply life insurance to your personal financial needs. Here you will have the unique opportunity to examine the best available life insurance policies and get quotes from the finest of life insurance companies. You will be afforded the privilege of choosing a policy from one of these highly reputable life insurance companies. It is, however, of vital importance that we take some time to get an in depth understanding of what life insurance was designed for and what it can really do for you and your family or business before you examine any life insurance quotes. The detailed information you will get from these pages will answer all the questions that you are likely to have. When you are ready you will be directed to the best places to get your life insurance quotes. Buying life insurance is, for most people, not the most exciting way to spend valuable time. Getting the right type of life insurance is so very important, however, and doing the proper research is more than worth the time spent. We should protect our loved ones in the event of premature death, shouldn't we? This is what this site, life insurance hub, is all about. Do you have a need for life insurance? I have been in this business for better than 40 years and have yet to meet a man or woman who can honestly answer that question in the negative. If you are quite young in years and your present need is only to cover last expenses you also know that as you grow older you will need to review some life insurance quotes and buy additional life insurance. To put is simply, if someone depends on you financially in any way you do need Life Insurance. In the case of premature death we should be constantly aware that our dependents will need money to carry on. They need money, first of all, to take care of funeral expenses, medical bills, estate taxes and attorneys fees. Dependents have to continue living, there are mortgage payments to be made, they have to eat, wear clothing, maintain an automobile. Let us take a few minutes to examine why you may need to scrutinize life insurance quotes and may be buy some life insurance. There is only one parent bringing in the bacon. What will happen if this parent should die suddenly? You may say that the other parent simply has to go to work and do his or her best to provide for the family. I guess this depends on how much you really care. You are right to a certain extent that the survivor would have to go to work but you should consider that it is not an easy thing for a person who has not been working for a long time to find a job that will provide sufficient income to adequately sustain the family. Could the family continue living in the same house on this income alone? Could the children continue going to the same school? This situation could be quite disastrous for any family that finds themselves in such a calamity...unless they are very rich. Looking at a few good life insurance quotes will help you decide how much you can afford to earmark for life insurance. Buying adequate life insurance could assure your family's security. Can you imagine going through the grief of losing a loved one and at the same time having to give serious consideration to just surviving? The surviving spouse would possibly have to sell the house where they live and totally change the standard to which the family has become accustomed. A few good life insurance quotes and subsequent purchase of sufficient life insurance would go a long way towards alleviating some of these problems. Someone could be paid, probably a family member, to take care of the children while they go about their business of growing up. What If Both Parents Are Working? Would the family need life insurance if both parents work and earn good incomes? In today's world, in most families, both parents work and share the expenses. If one parent should prematurely die would the income earned by the surviving parent be sufficient for the family to live on? In most families there is usually one partner who is better at handling money than the other. Suppose the surviving partner is the partner who doesn't handle money too well. In this case s/he could learn, this may take a while though. In anticipation of premature death a fund could be set up, through a life insurance policy to replace, totally or in part, the deceased parents income. Get life insurance quotes and see how that would work for you. All the financial responsibilities for the family rest on the shoulders of the single parent. It is that persons earning power that is sustaining the family. The ability of this person to manage the household and maintain the children is what keeps this family together. ...if this super parent should die while the children are still quite young there certainly would be a need for financial support. Sufficient life insurance, though it would not completely solve the problem, would certainly be a great help. I said not completely...as the children would now have no living parent. I cannot conceive of a more frightening situation. If you are such a parent you should immediately get a few life insurance quotes..then take action. Is it not fair that the surviving partner or partners should own the business and the deceased partners family receive full value for his or her share or stock? A properly prepared buy sell agreement adequately funded by life insurance can take care of this eventuality as well. For more details as to how this works go to this page on business life insurance. Decide how much you need and go get your life insurance quotes. Some employees are so efficient they are very difficult to replace. It may also take some time to get a new employee up to the production level of your long time, well seasoned, employee. If your business depends a great deal on a particular key employee would it not be wise to look at some life insurance quotes then go ahead and insure that employee in case he or she should die suddenly? The company would receive the death benefit in this case and the money would be used to keep the company afloat while a replacement is found and trained. If the key employee does not die before retirement age and the policy is a cash value life insurance policy, it would be a nice gesture to give the cash value of the policy to this employee as a gift. It could come in handy to top up his or her pension. The employee can also become disabled. Could your business go without such an employee for any extended period of time. For details on the type of disability insurance that would help with that go to disability insurance. These are just some of the reasons why people need good life insurance quotes from good, solid life insurance companies. There are many more. 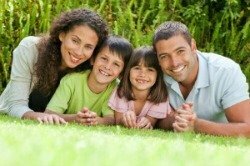 On this site you will find detailed explanations of all the reasons people buy life insurance.